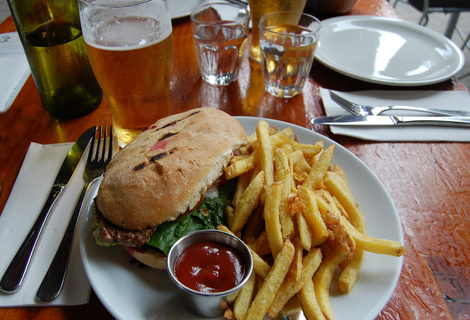 Good food and great beer - excellent place for a Sunday sesh or meal with friends. 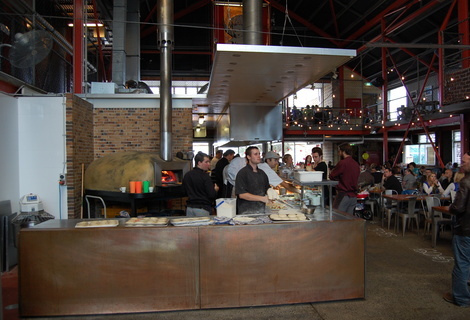 Little Creatures was reviewed on Sunday 6th May 2012 12:00 by Guan. Talk to the locals from the south of the river and there is one place that is synonymous with good food, great beer and a fantastic place for a Sunday session. 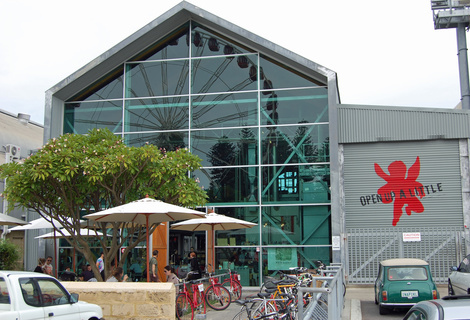 Located on the Fremantle esplanade is the Little Creatures Brewery, an institution in its own right. Many would be familiar with the golden suds that reel off the factory production line into their local bottle shop, but you would be remiss if you stopped there without making a visit to their flagship brewery. The brewery has been converted from once what was an industrial boatshed, and I think under its new line of business it’s attracting plenty of attention for all the right reasons. The steel fermentation vats at the entrance greet all customers, and upon walking inside, the warehouse theme is hard to ignore. Almost the entire interior is draped in metallic décor, from the kitchen/service area, table and chair selections as well as the roof fixtures. 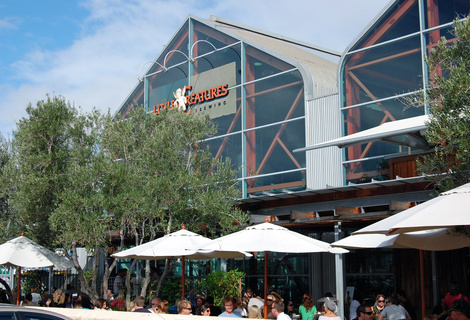 I hadn’t been to Little Creatures for over a year, so I was well overdue for another visit to get reacquainted with the food and beer they have become famous for. We pulled together a group of three and made our visit on a Sunday afternoon, and not even the overcast conditions were enough to deter patrons from flocking through the doors. It was fairly occupied, but we managed to find a free table close to the back of the indoor dining area. Despite the hordes of customers occupying the floor, the table arrangement used maximises the floor space to minimise the feeling of being too cluttered or surrounded. It’s worth noting that the majority of wait staff and floor staff employed seem to embrace a hippie type lifestyle, evident through their sense of dress and personal grooming habits. However don’t be deterred, it’s just a representation of the well embraced Fremantle community. Shortly after seating, a friendly waitress came around to take our order. 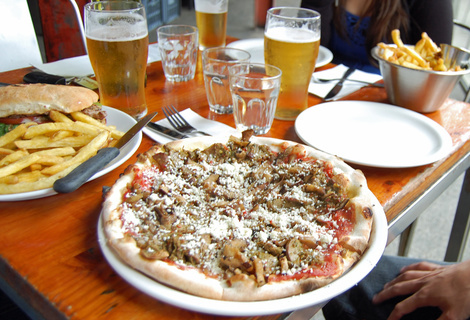 Given the popularity of their wood fire pizza offerings, I decided to go with the harissa spiced lamb and feta pizza accompanied with a side of frites and a pint of their golden pilsner to wash down with. Other orders on the table were the steak sandwich and frites and the chorizo and corn pizza. No less than 10 minutes later, our drinks arrived with our food following in very prompt fashion. The lamb pizza was fantastic – generous strips of spicy lamb laden on a wood fired base with sprinklings of feta cheese over the top. The combination of flavours was excellent, and with a side of golden frites was a truly satisfying meal. 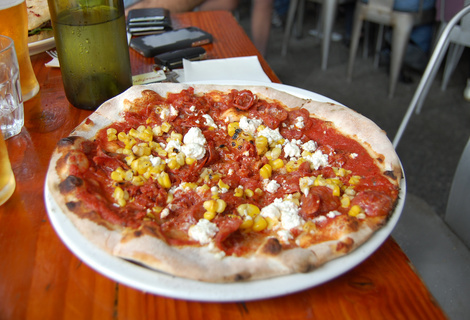 The chorizo and corn pizza was also a winner - it was spicy and a bit edgy with a great rustic flavour combination. The steak sandwich was said to be delicious - steak was cooked and seasoned to perfection and all the trimmings including beetroot made for a sensational flavour combination. Tempting desserts were circulating the floor after we had finished our mains but we were happy to give them a miss this time around. 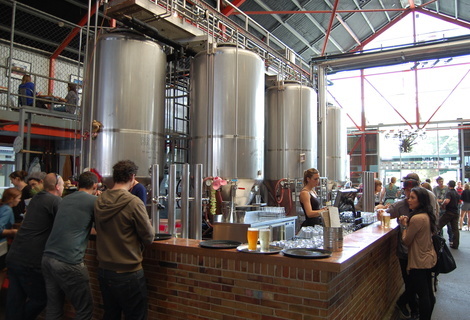 I would consider Little Creatures as one of the best microbreweries I’ve visited, offering a truly satisfying gastronomic experience. They certainly seem to have nailed down a stable and loyal customer base, along with attracting visitors to the city looking for a taste of what Perth has to offer. What I loved is the simple menu selection comprising of tapas style starters, pizzas and two favourites in a steak sandwich and fish and chips. The menu is reasonably priced, with starters around $10-15, mains roughly around $20-30 and desserts also around the $10 mark. All of their famous beers are also offered here – freshly brewed and poured on site of course, along with a small selection of still and sparkling wines. Combined with the magnificent location right on the water makes it a wonderful place to catch up with friends and family, especially during the warmer months. If you are yet to make a visit here, do yourself a favour and pop down to sample some of the best of what West Coast brewing and dining has to offer. You won’t be disappointed. Cold beers and good company is what it's all about. Passionate about sharing my love of food and froffies - the simple things in life that make the special occasions what they are.